We are now registering property for our next auction from both Private & Corporate Vendors and welcome enquiries from all potential clients. Thompson Wilson Auctions have an enviable reputation for achieving great results for a wide variety of sellers. We offer a wealth of auction experience and a forward thinking approach to sales. There are many reasons to buy a property at auction. Motivated vendors ensure properties are available at realistic prices and the open nature of the auction can mean that a variety of LOTS appear for sale. 19 Denewood, Totteridge, High Wycombe, Bucks. 14 Tom Evans Court, Hamilton Road, High Wycombe, Bucks. Flat 5, 6 Rectory Avenue, High Wycombe, Bucks. 46a Booker Lane, High Wycombe, Bucks. Garages at Green Hill Gate, High Wycombe, Bucks. 4 Derwent Close, Amersham, Bucks. Dartington, The Greenway, High Wycombe, Bucks. The Oak Room, Old Town Hall, High Wycombe, Bucks. 14 Tom Evans Court, High Wycombe, Bucks. VIEWINGS ARE TAKING PLACE FROM SATURDAY 17TH NOVEMBER PLEASE REFER TO THE AUCTION CATALOGUE WHEREBY THE VIEWING SCHEDULE CAN BE ACCESSED BY CLICKING ON THE LINK BELOW. Another great day for us at our property auction on Wednesday 24th October and we are pleased to share with you the results achieved on the day. Results for the individual LOTS are listed below. We are now taking entries for our next forthcoming auction that wiill be held on Wednesday 12th December 2018 at 12pm. Our June Auction proved to be another success for our Auction Team at Thompson Wilson. Please see the attached PDF for the results on the day. We are now taking entries for our next Auction which is scheduled to be held in October 2018. If you are hoping to buy or bid at our Auction on Thursday 28th June, please ensure that you arrive in plenty of time so that your registration can take place prior to the auction which commences at 1:00pm. Registration will take place from 11:30am at The Oak Room, Old Town Hall, High Wycombe, Bucks. HP11 1BA. Alternatively, you are welcome to pre-register at our offices at 1 Amersham Hill, High Wycombe, Bucks. HP13 6NQ on Monday 25th June, Tuesday 26th June or Wednesday 27th June where a member of our team will be happy to help you. Please ensure that you bring your cheque book on the day as we will not be able to accept debit cards (this is not negotiable). We are pleased to announce that our next auction is on Thursday 28th June at 1pm at The Oak Room, Old Town Hall, High Wycombe, HP11 1BA. February 2018 was yet another successful Property Auction for Thompson Wilson with near to 100 prospective purchasers in the room waiting for the hammer to fall. On the day we SOLD 3 of the 5 LOTS under the hammer. Once again thank you to everyone who was able to attend or take part in our event the room and competitive bidding contributed towards a lively atmosphere. We are now taking entries for our next AUCTION. If you have a property that you are considering selling by Auction please contact us on 01494 474234 or email sales@thompsonwilson.co.uk to find out more. February 2018 was yet another successful Property Auction for Thompson Wilson with near to 100 prospetive purchasers in the room waiting for the hammer to fall. Results of the individual LOTS are available to view via the PDF underneath. 26 West Wycombe Road, High Wycombe, Bucks. Yew Tree Cottage, Loosley Row, Princes Risborough, Bucks. The Barn (Unit 2), The Common, Stokenchurch, Bucks. We are delighted to announce that our next Property Auction will be held on Wednesday 21st February 2018 at 1:00pm at The Oak Room, Old Town Hall, High Wycombe, Bucks. Our Auction catalogue containing full details of the LOTS as well as the most current viewing schedule can be accessed by clicking on the button below. Our November Auction proved to be another success and once again the room held a great atmosphere for the LOTS sold on the day. Please see attached PDF for our Auction results. We are now also taking entries for our next Auction which will be held in 2018. If you have a property that you are considering selling by Auction please contact us on 01494-474234 or email sales@thompsonwilson.co.uk to find out more. Please note that registration will take place from 11:30am at The Oak Room, Old Town Hall, High Wycombe, Bucks. Interested in selling at auction? There are many benefits to sale by auction, outlined in our brochure below. With our next auction just around the corner, why not call in and discuss whether this increasingly popular method of sale is right for you? We are pleased to announce that all 17 Lots that went to auction were sold on the day, raising a grand total of £4,565,500 (see PDF below for individual breakdown). This was a massive £514,000 above the total guide prices for the Lots, making it our most successful auction yet! 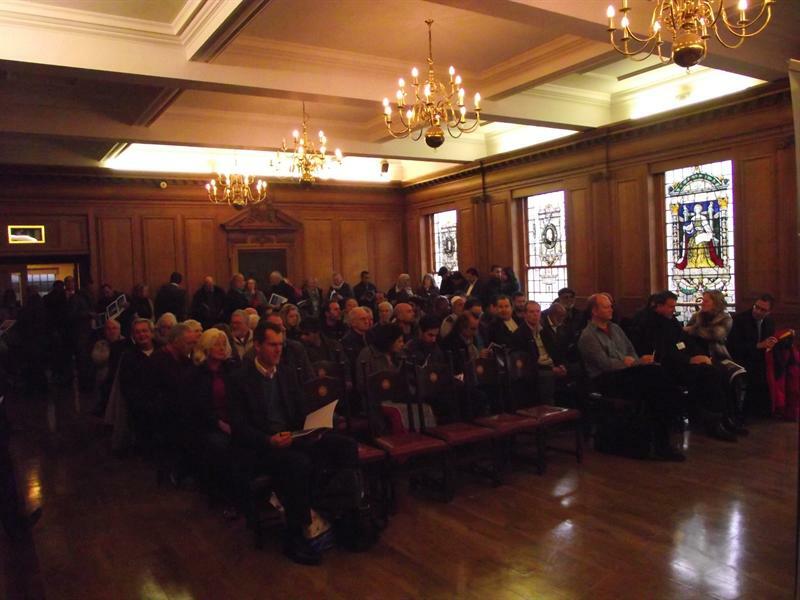 Thank you to everyone who was able to attend or take part in our busiest event to date at The Oak Rooms, Old Town Hall. The packed room and competitive bidding contributed towards a really lively atmosphere. We are delighted to announce another of our exciting auctions taking place on 18th May 2017 at 12pm at The Oak Room, The Old Town Hall (Wycombe Swan). With currently over twenty Lots included this will be another of our auctions you will not want to miss. Why not call in and talk to us about the benefits of selling under the hammer. Selling by auction can mean a faster and more certain sale as once the gavel falls, the purchaser is legally obliged to complete the sale (normally withn 20 business days). Our excellent marketing exposure in local and national publications plus the internet together with viewings held at set times over an 8 week period, means that we are in a strong position to obtain the best achieveable price for your property. We have a large applicant database of people looking to purchase at auction. Now could be the right time to take advantage of this. Full details of all properties and viewing schedules will be available on our website later this month. If you are thinking of buying a property at auction, why not pick up some tips by reading our guide to buying at auction. Please click on the attachment below or call us on 01494 474234. Our September 2016 Auction saw 29 Lots offered with the total amount raised £8377000. This was one of the largest property Auctions in High Wycombe for many years and took place in The Oak Rooms, Old Town Hall. The room was packed with competative bidding in a great atmosphere. We are now taking entries for our next Auction scheduled for early 2017. If you have a property that you are considering selling by Auction please contact us on 01494 474234 or emal auctions@thompsonwilson.co.uk to find out more. 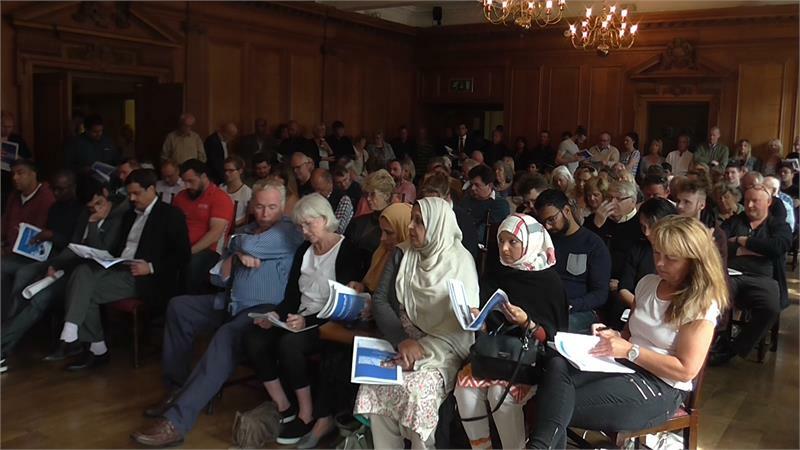 On one of the hottest recorded September days the largest property auction in High Wycombe for may years took place in our normal venue The Oak Room, Old Town Hall, High Wcombe. The room was packed with competative bidding in a great atmosphere. Please call 01494 474234 or e mail jsmith@thompsonwilson.co.uk to arrange a valuation or ask any questions in relation to the auction process. If you are interested in learning about the benefits of selling by auction, you can view a pdf of "A Guide to Selling at Auction" or view examples of the types of property whci are ideal selling at auctiion. Alternatively, you can contact us on 01494 474234 and we would be happy to talk you through the process. Interested in Selling By Auction? Thompson Wilson are pleased to release details of four lots for our next auction which will be held on the above date. Have you read the article in the Bucks Free Press on selling by auction? Or call us for a chat to discuss the benefits of selling by auction. Thompson Wilson are pleased to confirm that all NINE lots were sold at our December auction. One sold prior to the auction and the other 8 were sold under the hammer on the day. A fantastic 100% record for this auction which equates to over £1.8M worth of sales. Interest in the room was high with well over 120 people eager to bid. Most lots sold above their guide price with Lot 2 achieving a staggering £52K above the guide price. The four properties in Benjamin Road were also popular with both investors and home buyers making purchases. It was another successful auction for Thompson Wilson with near to 100 prospective purchasers in the room waiting for the hammer to fall. On the day we sold 3 of the 6 lots under the hammer and have successfully managed sales on 3 other properties since the auction. Our December 11th auction was another success and despite the cold weather there was a crowd of at least 70 bidders. We managed to sell 3 of the 6 lots and with much interest in the unsold properties, we are hopefull of finalising these before Christmas. This equates to over £3M worth of property sold at auction this year, and with a number of property owners already enquiring about our next auction, we are looking forward to a great 2013. Our September 18th auction had a lot of interest in the room with nearly 150 bidders looking to purchase. It saw property sales of almost £1.5M on the day with 7 of our 10 lots being sold under the hammer and 2 more sold by private treaty after the auction. We generally hold our auctions every quarter and are looking forward to our next one in December. 2011 was a tremendous success with just over £4.77M worth of property selling at auction with 80% of the lots being sold. Over recent years, buying properties at Auction has become a more popular method of purchase. The main advantages for buyers are certainty, control and transparency. As a purchaser you are in control deciding when to bid and how high or low you wish to go. A purchaser is able to buy the property at a price that was achieved competitively against other bidders in the transparent process, and if your bid is successful then the property is yours on completion, the vendor cannot withdraw. Secondly, it is possible to buy properties quickly. If you are well organised, properly advised and have the requisite financial resources, you can exchange contracts in a matter of days. If the Auctioneer is following RICS common auction conditions completion will be 20 working days after the auction. You may find properties are on offer with attractive low guide prices, although the eventual sale price will be determined by the level of competition in the room. 1. Firstly, certainty, properties are not sold on a, subject to contract, basis in the same way as happens via a traditional estate agency method of sale. The successful bidder is legally obliged to complete the sale once the gavel falls. 2. Secondly, there is good marketing exposure as our auctions are well advertised in the local and trade press. 3. Thirdly, a good sale price. With a set guide price property should achieve the best possible marketing price and also the speed. The sale is relatively quick and completion will usually take place 20 working days after the auction. If you require advice on selling a property by this method then please contact our auction department on 01494 453010 or by email as above.